For the best rates book direct on the Urban Hotel website. For the latest events and special offers check out the hotels Facebook and Instagram feeds. 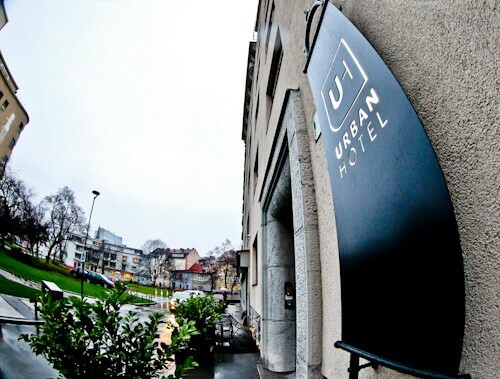 Urban hotel is located in the city center of Ljubljana. It’s within walking distance of many of the top attractions of the city. Ljubljana is known for its green spaces and the hotel is located next to one of them. It’s located next to Argentinski park and very close to the famous Tivoli city park. You can easily walk to the castle, triple bridge, Ljubljanica river and Franciscan church. You will receive a warm welcome at check in. The staff are very friendly as are the Slovenian people in general. English is spoken by staff and throughout Ljubljana. Whatever you are in Ljubljana for, it’s very likely you’ll be able to walk there from the hotel. The staff will be happy to provide you with a map. They’ll explain how to get to where you want to go and give recommendations on where to eat. You’ll also find lots of flyers from the tourism board showing things to do in Ljubljana. 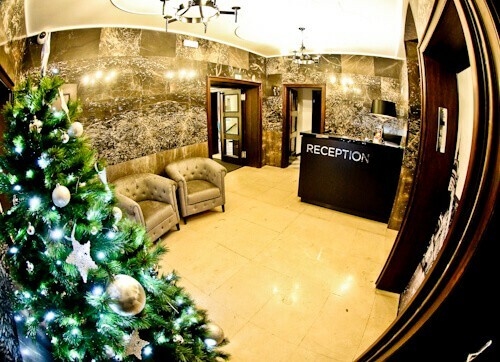 If you’re visiting Ljubljana in the winter like I did you’ll see a Christmas tree in reception. Ljubljana city has a Christmas market and lights this time of year too. The guest rooms are spacious. Enjoy relaxing on the bed or sofa whilst watching the huge selection of cable channels. My favorites are the American movie channels and there were plenty to choose from. Something unique about this room are the luggage racks. In most hotels I feel guilty about scratching the surface. In the Urban hotel you’ll find a simple yet modern place to easily access your luggage from. To give you a little inspiration of what to do in the city, there is some art work of the cities attractions in the rooms and around the hotel. If you’re traveling to Slovenia, roaming can be expensive. 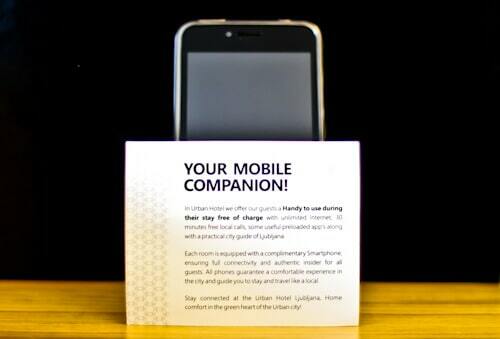 The hotel provides you with a cell phone to help you in the city. You can make free local calls and access the internet from anywhere in the country. I say country as Slovenia is a small country. Ljubljana and the Urban hotel could be your base as you make day trips and the phone would be your perfect companion. The bathroom is sparkling clean. 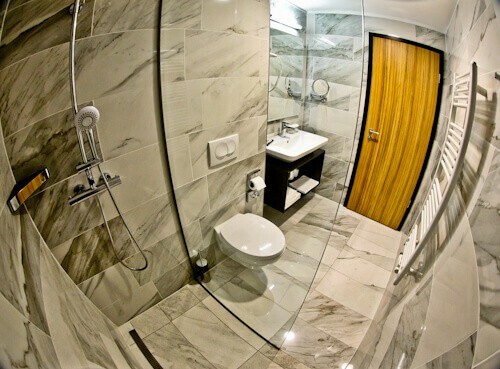 The best part is the walk in rainfall shower. Make note of the towel heaters. There’s no better way to end your shower experience than drying yourself with a warm towel. You’ll find all the amenities you require in the bathroom. Amenities such as soap, shampoo, vanity kit, hairdryer, magnifying mirror and bathrobes. For the breakfast buffet you may help yourself to freshly prepared food. There are bread rolls, sweet breads, cold meats, eggs, hot meats, fresh fruits, yogurts and cereals. As for your drinks you may help yourself to tea, coffee or a selection of juices. 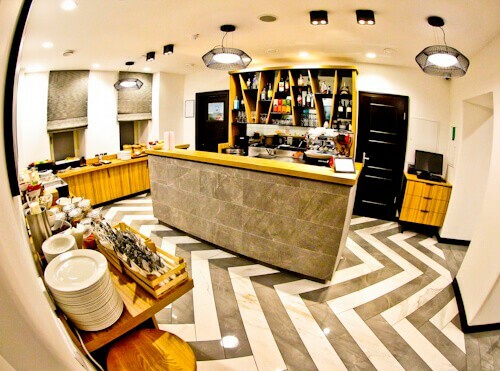 The breakfast staff will also offer you a coffee from the restaurant coffee machine. The coffee from the buffet is good but from the restaurant coffee machine you have more variety. How does a freshly prepared espresso or cappuccino sound to compliment your breakfast? A unique part of the breakfast is the smoothie. This is a mixture of spinach, fruits and yogurt. When I was there they was really popular, everyone in the buffet was trying one (or two!). It’s good to start your day off with some vitamins. You can either drink it with a straw or pour it into a glass and drink it. For those traveling to Ljubljana on business you have complimentary access to the conference room. It’s a small conference room which will fit a meeting of up to 25 people. The room comes with projector and super fast, reliable internet. 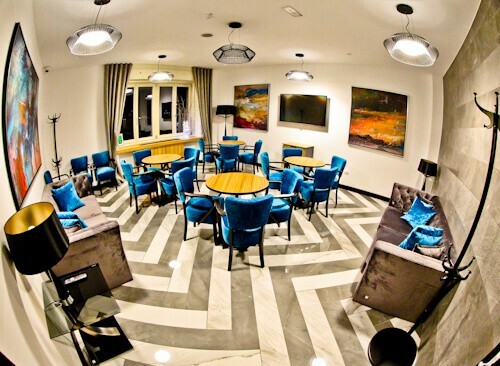 To make sure your business meeting runs smoothly it’s advisable to organize your event with the hotel in advance. When the room is not being used as a conference hall it is a comfortable lounge for guests (above). Remember the staff are there to make sure you enjoy your stay in Ljubljana. They will go out of their way to ensure this happens. Any requests or doubts you have should be shared with them. When you’re outside the hotel you’ll have your Ljubljana cell phone to find out about the city and country! You had me at towel heaters! That bathroom seems pretty amazing! I’ve heard such good things about Slovenia that I’ve added it to my travel bucket list. If I’m able to go, I will keep this Urban Hotel in mind! Wow James, you truly jump from one spot to another, so great to see! I have heard about Ljubljana so far of excellent wintersport. This Urban hotel makes a really nice impression. Looks very cozy, but also clean and elegant. And best is that it is located in the center of the City. The Spinach Yoghurt smoothie sounds (and looks) like the perfect start in the day. For whatever kind of activities you are planning then in Ljubljana, with this you should have enough power.And that a hotel provides a phone for free local calls – how amazing is that! I love that they give you a free phone at the Urban Hotel, it’s such a perk to stay here. It’s also great that the location is close to the main attractions of the city, something I always like to look out for! Your breakfast smoothie looks very green and healthy, and is making me regret the croissant I had for breakfast this morning! This is one place I’ll remember. You had me at breakfast smoothies! I’ve been wanting to visit Slovenia, but haven’t nailed down a city yet. 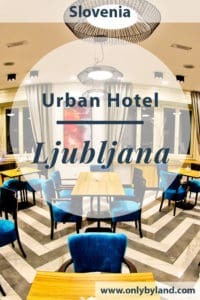 If I end up in Ljubljana (had to copy and paste the city name bc otherwise my slight dyslexia would have probably spelled it “Ljljljanaljla” hahaha) I will definitely be checking out the Urban Hotel. Thanks for sharing! Okay, I thought this was going to be a regular post on a hotel in Slovenia but you had me at one thing. A cell phone? What genius! It’s one of the biggest hassles travelers face and I’m so glad this hotel is so forward-thinking and innovative. Hats off to them! Urban Hotel in Ljubljana has classy modern interiors. 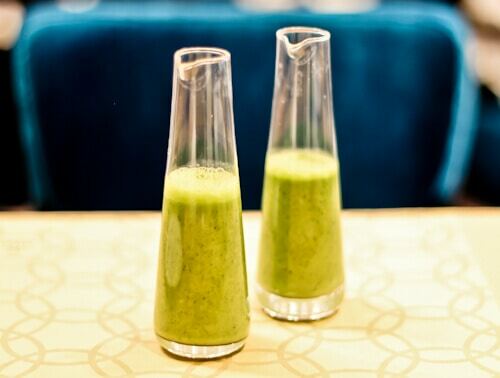 Smoothies made up of spinach in breakfast is really a healthy option to start a day. The decor of conference room for business meets is interesting because of colorful couches and not those boring sort of meeting rooms. Towel heaters in the room .. wow it is unique feature of this hotel. This hotel has something unique in itself … something different from other regular hotels. Ljubljana knows how to make it special. I mean a personalized cell phone is such a cool idea. When we visit a new country if we get support like this we will surely be relieved. And the smoothie in those cool containers. Small things like this make your stay memorable. Pretty cool place indeed.